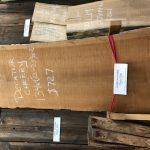 Many years ago, Alan Noel wrote an article for Wood News telling the story of an accident with his tablesaw, and his reasoning for upgrading to a SawStop. Just before my 54th birthday, I was using my old tablesaw to cut some pieces of poplar into long strips to hold glass panels in cabinet doors. I had done cuts like this safely many times before, but this time something distracted me and I must have taken my eye off the saw for a fraction of a second. To my pain and horror, all of a sudden I realized I had cut myself. It shocked me how incredibly fast it all happened. 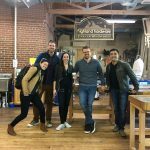 About 9 hours ago from Highland Woodworking's Twitter via Hootsuite Inc.